Well, I ain't that old, but I am just a little. So, I had to reconcile in my own mind what spurred this strange form of narcissistic barroom circus exhibitionism which we today call "bodybuilding" to undertake the travails of organized sport, and how it became the legitimate, science-based sport it is today. First science, then history. The Overload Principle: To make Mother Nature overcompensate, you must stress your muscles beyond what they're already used to. The SAID Principle: The acronym for "Specific Adaptation to Imposed Demands." Each organ and organelle responds to a different form of stress. The Use/Disuse Principle: "Use it or lose it" means that your muscles hypertrophy with use and atrophy with disuse. The Specificity Principle: You'll get stronger at squats by doing squats as opposed to leg presses, and you'll get greater endurance for the marathon by running long distances than you will by (say) cycling long distances. In the beginning—during the mid-to-late 1800s and on into the beginning of the 20th century, there was no form of organized bodybuilding. That the great strongmen of yore were "buffed" was merely a happenstance of 1) their genetic gift, and 2) practicing to perform feats of strength, which they exhibited at circuses, taverns and dance halls as a form of "entertainment" for the paying customers. In the early world of sawdust and midnight train rides there was no science to physical training. "Practice" was generally restricted to doing these same feats over and over. Then, as each feat was mastered, they'd try to do more weight or perform more difficult and imaginative feats. These early pioneers of the new and unexplored kingdom of Irondom loved to talk about Milo of Croton. I know this because the story was repeated in all the old weightlifting literature. When he was a boy, Milo wanted to lift a calf and carry it some distance and for some inexplicable reason. In fact, he did it daily. Over the ensuing months the calf grew to bull proportions. Milo kept on lifting the beast daily and carrying it some place. Young Milo must've been an ANIMAL! Consider that calves grow large in a year or so, then become fully grown bulls in three or so. Ya gotta wonder what he was on! At some later date, as the story goes, Milo killed and ate the bull, probably because he needed more protein. But, that's not the point. This cute little myth, repeated over and over from the early 1900s, gives vivid testament to the fact that the early lifters had more than a mere rudimentary appreciation for the importance of progressive resistance training as outlined in the age-old overload principle. But they had little else. But it was among the Olympic lifters, in the dank lifting dungeons prowled by these explosive beasts, that big-time muscle was developed to proportions far advanced from their circus strongman predecessors. It was from the ranks of these early lifters that the practice of modern bodybuilding was sired and born. By the mid 30s some ironheads had begun looking in the mirror in a more serious vein than simple narcissistic pride, and Charles Atlas had won a mail-in photo contest. There still wasn't any organized bodybuilding, however, and hence no definitive bodybuilding science. If they followed any training routine at all it was one of the early courses sold back then as wall posters to accompany a youngster's newly purchased barbell set. These early poster workouts for beginner-through-advanced levels who eagerly bought into the ads to "expand your chest" or "build he-man arms" developed in scientific sophistication such that by the end of the 30s, men around the country had developed an interest in getting huge. The first Mr. America contest was staged in 1939. Such contests were tacked on to the end of weightlifting shows which typically ended in the wee hours of the morning. The guys would pose in front of a small handful of folks on top of a table with a light bulb dangling over their head. Bob Hoffman, York Barbell's power broker in the world of weights, saw to it that the U.S. Weightlifting Federation, a member of the then-powerful AAU, was the governing body for the fledgling sport. There was a strong fear on the part of the Hoffman AAU cronies that bodybuilding would cause a severe talent drain from weightlifting. Their fears were, of course, prophetic. 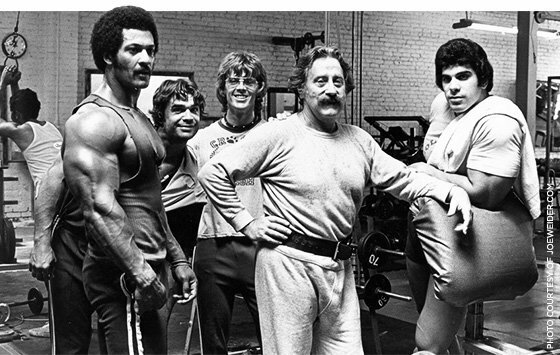 Joe Weider, then a Montreal teenager, had his upcommance in this atmosphere. But, hell, instead of me rambling on about what Joe said, let me tell his story as he told it to me. All the other old timers have long-since died. "I was a weightlifter. I just wanted to lift heavy weights. When war broke out, there was no more weightlifting in Canada. All the guys were gone. Since I couldn't compete any more, I turned to bodybuilding. I started Your Physique in 1940, and had a section on weightlifting in the muscle mag until Hoffman got me kicked out of all the shows. Hoffman thought they were losing these powerful local guys to bodybuilding, so he began to attack bodybuilders. From there I went ahead and developed bodybuilding shows. My brother and I started the IFBB. "In the 40s nobody followed any bodybuilding routine because there really wasn't any. They were all weightlifters trained basically for technique. Go through the Hoffman magazines from those days. There are no assistance movements mentioned. Around that time Charlie Smith did a lot of writing, and I remember discussing this with him. As a weightlifter, I asked him, how am I going to build overall power if all I ever do is the three lifts? I figured that by incorporating some powerlifting movements into my routine, I could lift more weights. So we did partial cleans off boxes, and several other kinds of movements to build power. It was a natural progression. When boxes didn't work anymore, I had to find a different tactic that worked. All the lifters did. "A lot of guys all around the world were going through the same thought process back then. You see, it's very funny, a guy in the middle ages in England developed the long pole, let's say, and in Australia, at the same time historically, someone else gets the same idea. We were working on an atomic bomb and the Germans were working on a bomb at the same time. So who got the idea first? When something happens in the evolution of scientific development, it rarely happens in isolation. The rest of the world is equal to you in their science, and the chances of someone hitting upon the same idea are great. 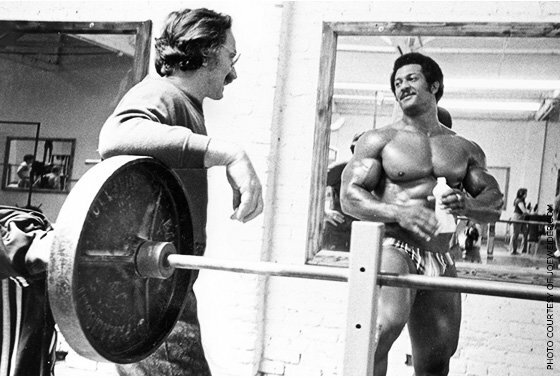 "The point is that I've never claimed that the basic science behind each of the Weider Principles is mine. Its not that I was suddenly struck with divine revelation in the evolution going on in lifting. But I did have an open mind, unlike Hoffman who was only interested in promoting Olympic weightlifting, and I had a magazine to write these new bodybuilding training ideas in." The Weider System has been in existence for fifty years or so, and has grown over the years to incorporate other great training ideas as they came along. It's actually not a "system" in the strict definition of the term, but rather a "guide" to aid you in developing your own personal system based on your own unique recuperative ability, experience, goals, strengths, weaknesses, and—well—"guts" to go the distance. This Weider System "guidelines" comes in the form of a series of training methods collected from the strongmen and writers of the day (and in most instances named) by Joe Weider personally over many years, which became widely known as the Weider Principles. 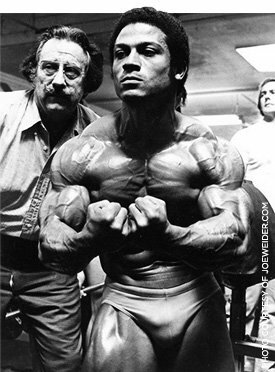 In fact, of the Weider Principles that were developed by Joe personally, one in particular had a major impact on the world of bodybuilding. That was the concept of splitting your workouts to train specific body parts. 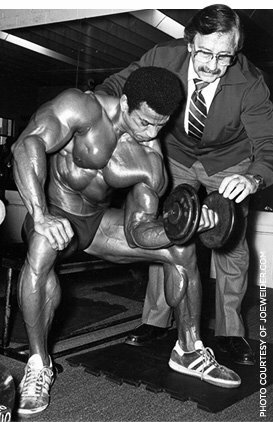 The split system, double split system and triple split system, as they became known as, are Joe's unique contribution to bodybuilding science. These three categories of principles discussed in the Weider System are listed below with a brief explanation of each. One of the principles appears in all three categories. That's the Instinctive Training Principle. Folks, it's simple. Use your own training experience and knowledge of how your body responds to exercise stress when planning and carrying out a training program! This must take place on a cycle-to-cycle, day-to-day and quite literally a minute-to-minute basis! And, oh ... do me a favor? Don't tell me that the names of these principles (or whatever you want to call them) aren't Joe's creations or that Joe's an evil, self-serving egomaniac! Look beyond that petty nonsense and get into the rather well organized aspect of the stuff he put together. That's Joe's! The list of methods is totally flexible. Within the instructions for each are listed guidelines to aid you in discerning whether to use it and how often to employ it in your day-to-day training microcycles (G.A.S. and Individual Differences Principles). Has Joe successfully marketed "his" system of training over the years? Yes. Is this bad? No. OK then, is it good? Of course! Who else was around back then to give us old timers this information? No one! Only Joe. 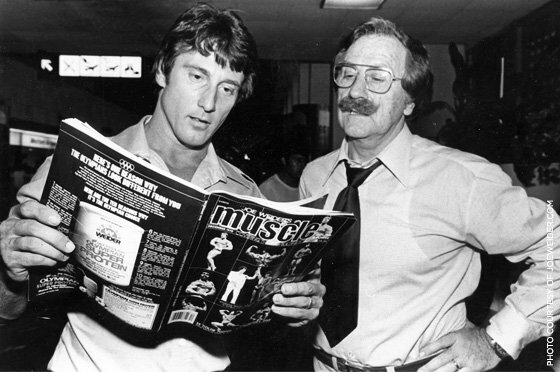 Hoffman (Strength & Health magazine) and Peary Rader (IronMan magazine) were principally "lifter" mags ... they were not bodybuilding oriented until their later days. That Joe has made some outlandish claims over the years that resulted in some folks being "misled" is not at issue here. Besides, the more I check it, the more I find that such self-professed "misled" folk would've been such regardless! Final question: Was it good information? Most of the time. We all (us old timers) learned what y'all have learned, that being that none of the mags back then (as now) were totally reliable as training information sources. We learned, as y'all have learned, to pick and choose. Over the years, many talented and training-savvy folks have developed systems of their own. Often, the motivation to do so came from a desire to engage in some marketing project or another. Sometimes the motivation was to expand the body of knowledge about training or to simply develop their body beyond what current systems allowed. All are justifiable motivations. But the acid test as to whether their newly created "system" is worthy of adoption by anyone of Irondom ... is science. Copyright © 2002, ProPower, Inc. All rights reserved. No part of this information may be reproduced or utilized in any form or by any means, electronic or mechanical, including photocopying, recording, distributing, or by any information storage or retrieval system, without permission in writing from the author. Inquiries should be addressed to ProPower, 6006 Eldorado Drive, Tampa, FL 33615. Article taken with permission from www.drsquat.com. Dr. Hatfield (a.k.a. Dr. Squat), won the world championships three times in the sport of powerlifting, and at age 45 performed a competitive squat with 1014 pound at a body weight of 255 pounds. Learn from the best in the industry!